While Relief Week provided countless opportunities to experience the enormous impact Relief Brigade has on selected communities in the Philippines, for volunteer Declan Coady, awarding scholarships to deserving students was one of the most special. 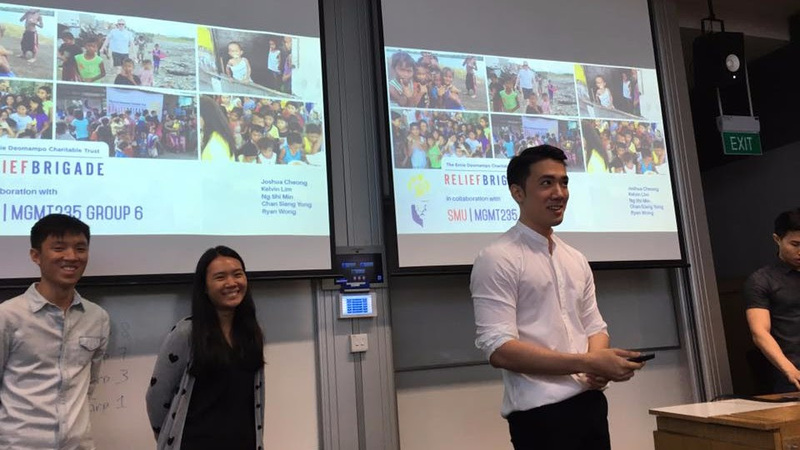 Without doubt, one of the greatest highlights of Relief Week for Relief Brigade volunteer Declan Coady was the opportunity to hear from more than 50 students who applied for The Ernie Deomampo Jr Memorial Scholarships. Funded by Relief Brigade donations, the Ernie Deomampo Jr Memorial Scholarship fund awards partial scholarships of 7,500 pesos per semester (approximately US$150 at the last time of awarding) to selected students. So long as the student stays in school and maintains their academic standing, Relief Brigade continues to support them until they graduate – partnering with them and their families to help them cross the finish line. Rather than gifting the full value, the scholarship covers roughly half of the tuition fees for one semester of a bachelor’s degree program. This partial scholarship ensures the students and their families remain personally invested in the study and the outcome. In keeping with Relief Brigade’s aim of using donor support wisely, the scholarships awarded during Relief Week were targeted at students in at least their third year of study – students who are closer and more likely to graduate with a little help. Of the applicants he interviewed, all were academically successful but struggled to pay their tuition bills: “Many of the students were living in multi-generational homes with six or more family members, often on a single income that was also needed to feed their siblings and relatives,” Declan said. “One constant theme across the students’ stories was the absence of any stable income. Many families’ sole income came from growing vegetables, raising some sort of livestock or picking coconuts. Even for those who were able to secure some sort of stable income – maybe the dad was a security guard – the salary was very low relative to the basic expenses of feeding parents, a spouse, brothers, sisters and their children. When it was a choice between eating and going to school, students often had to drop out. While the most recent awardees will not graduate until at least 2018, the results from the 2016 scholarships have already been seen: In April this year, the first two recipients of The Ernie Deomampo Jr Memorial Scholarship graduated with bachelors degrees in education and both are now working! Thanks to Relief Week donations we just awarded 21 new scholarships for the November semester, bringing the total number of Ernie Deomampo Jr Memorial Scholarship recipients currently in college/university to 44.